…my smallest car painting yet. 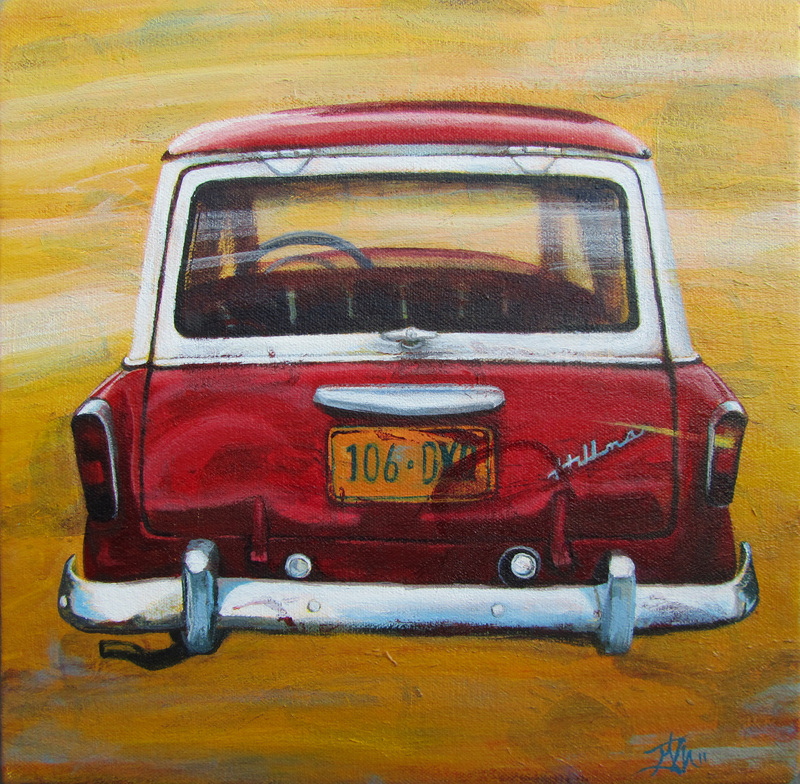 This cutie pie is a 1960 Hillman and 10 x 10 inches. I spotted this car in the Croton-Harmon train station parking lot.